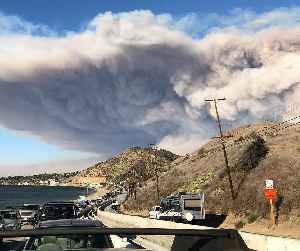 The Woolsey Fire was a destructive wildfire that burned in Los Angeles and Ventura Counties of the U.S. state of California. The fire ignited on November 8, 2018 and burned 96,949 acres of land. The fire destroyed 1,643 structures, killed three people, and prompted the evacuation of more than 295,000 people. It was one of several fires in California that ignited on the same day. While the nearby Hill Fire was contained with minimal damage on November 16, the Camp Fire in northern California destroyed most of the town of Paradise.